Using fresh watermelon and water kefir ice cubes, this slushie is a quick treat filled with probiotics that any kid or adult will love. Feel good about the next frozen treat you make for yourself and your family with this super simple slushie! Start by pouring your finished water kefir into ice cube trays. Place the trays in the freezer and leave until the water kefir is frozen. 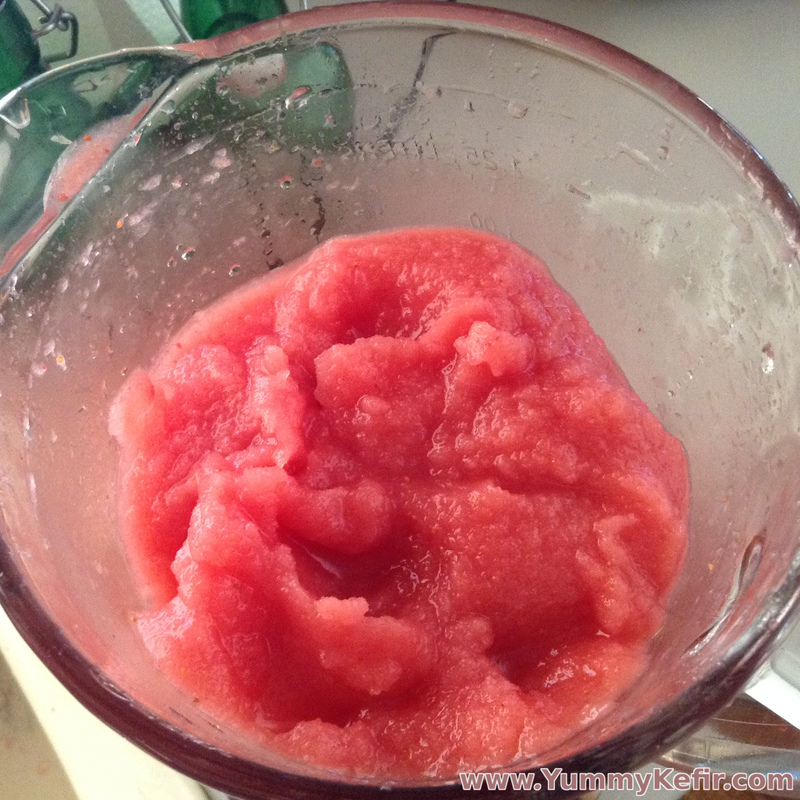 Place 1 cup of chopped watermelon and 1 cup of the water kefir ice cubes in a blender. Store any extra water kefir ice cubes in the freezer for later use. You can use them to make more slushies or just put them into your drinks to use as a probiotic ice cube.